Your home is your castle, so they say. Along with a feeling of ownership and the comforts of home, you want one other very important thing- a sense of safety and security for you and your family. There is nothing more valuable than your family. Your home also shelters and protects the possessions that you value. Some of those possessions simply have high dollar value like the latest flat screen television or your new computer. Other possessions have sentimental value such as a family photograph album or a carefully preserved wedding dress. 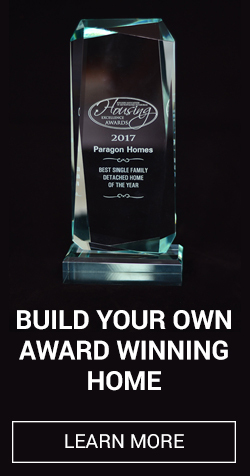 You want to protect your family, your home, and your investment. In this article, we will be exploring 5 safety items that you need in your home. 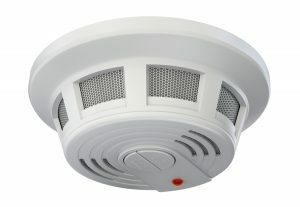 Fire Alarms and CO Detectors should be at the top of any list of safety items that you need in your home. They are crucial to home safety. They are also generally required by state regulations. Those requirements are in place for a reason. Imagine that you are talking on the phone, trying to throw in a load of laundry and dealing with squabbling children while you are cooking dinner. You are distracted and forget about the stove. The next thing you know, there is smoke everywhere. That is just one scenario. There are a lot of different ways a fire can start. You want the earliest possible notice that a fire has started so you can get yourself, every other person and any pets in the house to safety. Smoke alarms save lives. Carbon Monoxide (or CO) detectors also save lives. CO is an odorless gas. It strikes without warning. It comes from furnaces and from appliances like clothes dryers and gas refrigerators. People have gone to sleep in their beds and never awakened due to CO poisoning. CO detectors are your line of defense against that. They alert you to the presence of CO, even when you are asleep. Oh, and don’t forget to check the batteries in your smoke alarms and CO detectors and replace them twice a year. If a fire should happen in your home you certainly shouldn’t rely on water to put it out. To begin with, you probably won’t be able to deliver enough water, with enough pressure, fast enough to quench a spreading fire. More importantly, if you have a grease fire in the kitchen or an electrical fire started by an appliance water is not an option. 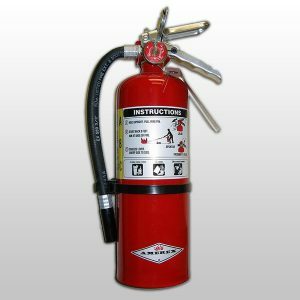 So, you need a fire extinguisher. You should have one in your kitchen. If your home has more than one floor there should be an extinguisher on each floor. It is also a good idea to have them somewhere near the exits on the first floor. Be prepared to fight fire with a fire extinguisher. An ounce of prevention is worth a pound of cure. That may be a bit cliché but it is also true. You need to be prepared for emergency situations such as fires, medical emergencies, severe weather emergencies (such as tornadoes and hurricanes), and earthquakes. You and family should sit down and create plans of action for potential emergencies. Those plans should include details like a meeting spot outside the house, plans for how to exit the house in an emergency, making sure everyone (including children) are aware of the location of emergency items like fire extinguishers and the first aid kit (and know how to use them), and holding fire drills. Start planning today with free templates from the American Red Cross. If your home has more than one floor a ladder might save your life in a fire. 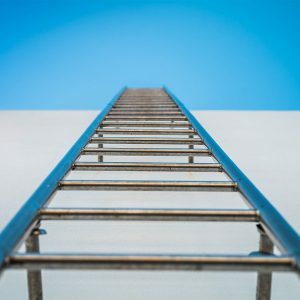 There are many rope ladders and roll out ladders on the market. They can be kept in each room. 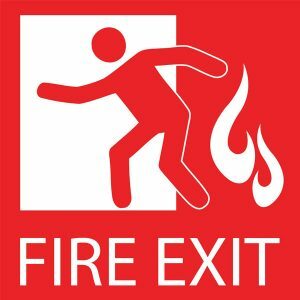 If you are trapped in a room on the second or third floor during a fire, you can put the ladder out of the window and climb to safety. Be sure everyone who lives in your house knows where they are and how to use them. Every home should have a basic first aid kit for emergencies. 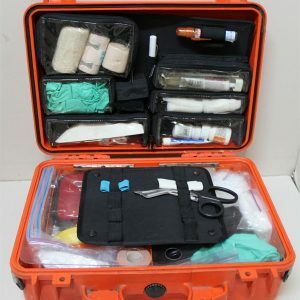 A first aid kit typically contains: band aids in different sizes and shapes, sterile gauze dressings, sterile eye dressings, triangular bandages, crepe rolled bandages, safety pins, sterile latex gloves, tweezers, scissors, alcohol wipes, surgical tape, a thermometer, skin cream (like hydrocortisone), antiseptic cream, painkillers (such as aspirin or ibuprofen), cough medicine, antihistamine tablets, distilled water, and eyewash with eye bath. You should check your kit regularly, replace anything that has been used and check the expiration date on any medications.